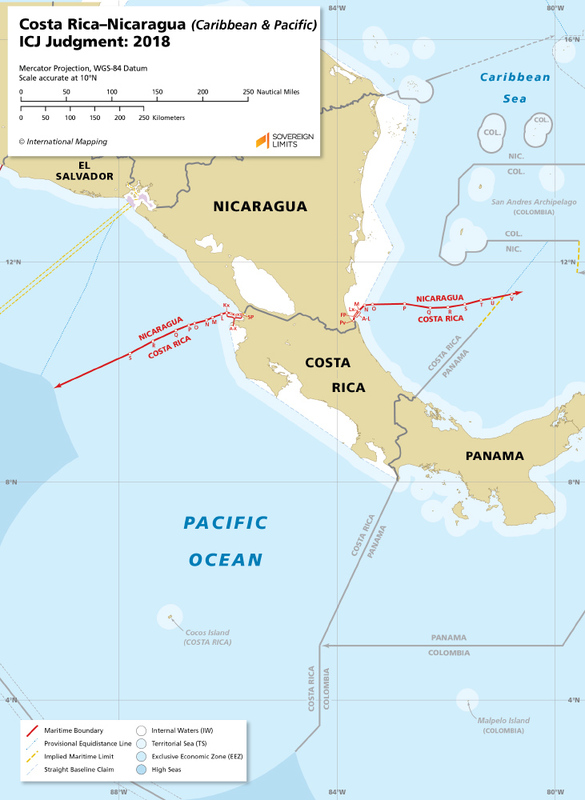 Costa Rica and Nicaragua share a single land boundary splitting the Central American isthmus and therefore have maritime entitlements in both the Caribbean Sea and the Pacific Ocean. 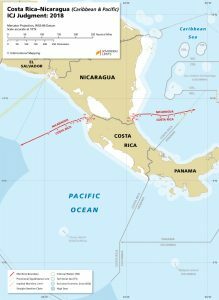 In 2014, Costa Rica submitted their maritime disputes with Nicaragua to the International Court of Justice, which made a Judgment in 2018. The Court defined all-purpose maritime boundaries using modified, simplified equidistance in both the Caribbean Sea and Pacific Ocean.